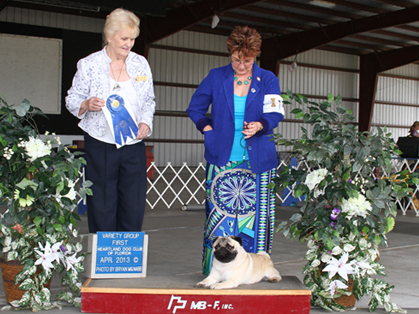 It is with great sadness and regret that we report the passing of AKC Judge Mrs. Glenda Dawkins of Altoona, Florida. Mrs. Dawkins was a longtime popular and respected AKC Judge of all Terrier, Toy, and Non-Sporting Breeds, as well as Best in Show. She, along with her husband Pete Dawkins, were professional handlers prior to starting their judging career. Their judging assignments took them all over the country and all over the world. Glenda will be remembered for her class and kindness as a judge. She was always friendly and welcoming to all exhibitors. The Canine Chronicle extends heartfelt condolences to Glenda’s many friends and family following her passing. She will be sorely missed. Posted by chesliepickett on Jul 25 2018. Filed under Breaking News, Featured. You can follow any responses to this entry through the RSS 2.0. Both comments and pings are currently closed.